How do glow sticks work is a question people ask often. Glow Sticks are also known as light sticks and they have many applications, mostly for use at night. Night time divers use them for light and to keep track of each other in the water. 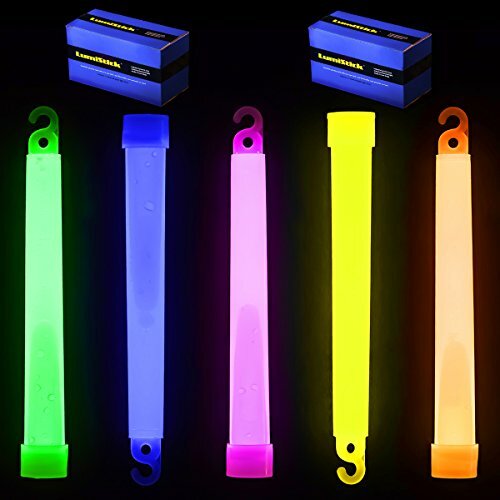 Band leaders will use glow sticks tubes as batons during night time games and they are used by the military for emergency situations and during night time activities. Most often light sticks are used for entertainment or decorative purposes by the general public. People just love wearing light stick necklaces and bracelets or even mini light stick tongue piercings. Necklace Strings Included -- Hang Them Anywhere! 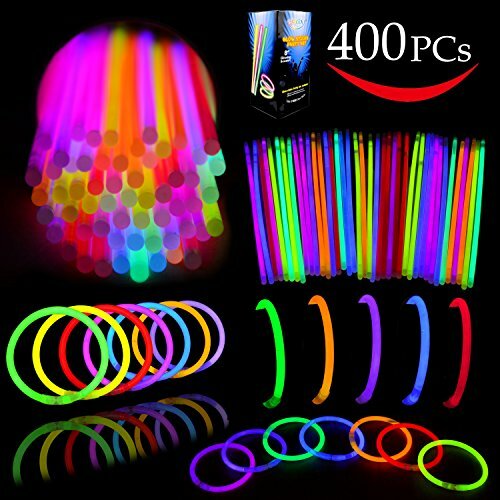 Includes 400 8" Glow Sticks (4 Tubes of 100) with 400 Bracelet Connectors. Long Lasting, 10 - 14 Hours. Multi-Colors. 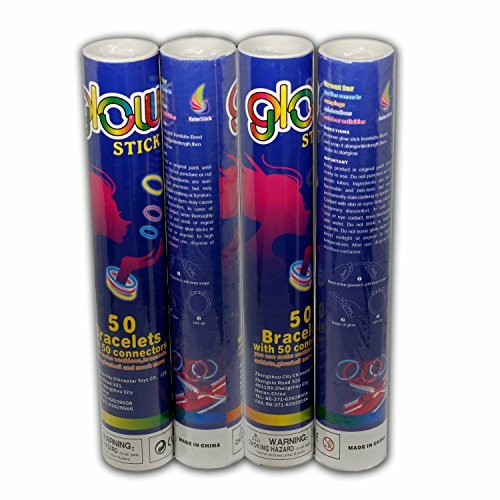 Super Value Pack for Glow in the Dark Party. Perfect for Birthday Parties, Party Favors, Camping Trips, Halloween, Glow Party, Concerts, Weddings, School Classroom Rewards, Treasure Box, Carnival Prizes, Pinata Toys, Bath Tub Fun, Bars and All Other Use!!! Brand New & Fresh from the Factory. A light stick works via a chemical interaction between two substances in a reaction called Chemoluminescence. The chemicals involved are Cyalume, 35% hydrogen peroxide and a fluorescent dye. The interaction of the first two chemicals creates energy which excites the dye causing it to release or give off photons. There can be many different kinds of colored light sticks made; purple, green, yellow, red and blue are just a few. 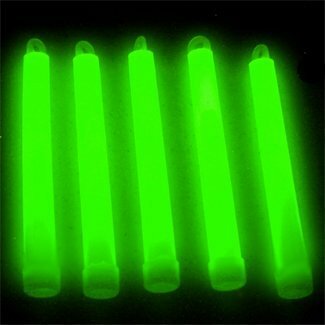 If you want your light stick to glow brighter you can heat it up a little by rubbing it between your hands. Don’t try to heat it with the oven, microwave or even fire as this will cause the plastic to melt and may even create a dangerous mini explosion of fire. If you want your light stick to last longer or would like to try and save it for later you can place it in the freezer. Cooling the light stick slows down the chemical reactions causing it to dim and you can take it back out later to restore it to a bright glow. This won’t work indefinitely though. Those of you who have a black light will be glad to know that even a used up light stick will glow under it. So save up your light sticks after they stop working because the fluorescent dye in them will still glow in places with black lights. When hosting a glow stick party, it is important to inform guests as to how glow sticks work. Inform them as to how they should turn on, turn off, and use the glow sticks for maximum decorative and celebratory effect. Only then can you host a truly successful glow stick party.